Locality: United States, Colorado, Jackson/Larimer, Ridge west of Cameron Pass. 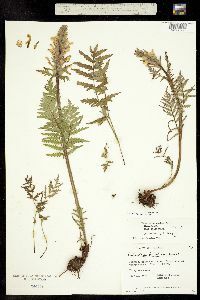 Occurrence Remarks: Pedicularis bracteosa var. paysoniana (Pennell) Cronq., det. by B. W. Robart, 1993. 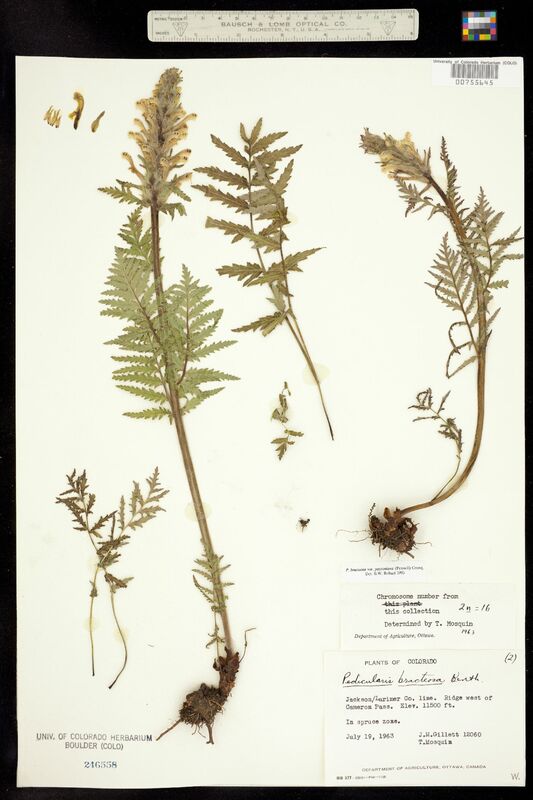 Original ID: Pedicularis bracteosa. Chromosome number from this collection 2n=16, det. by T. Mosquin, 1963.